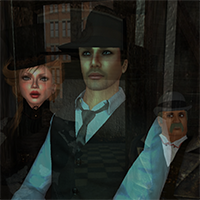 On a special episode of Happy Hunting, Host Cinders Vale sits down for an interview with the Peace On Earth Hunt Director Tiviyah Resident. Learn about what it takes to organize the biggest hunting event of the year. In the second half of the show Cinders show you some of her favorite gifts from the hunt. Host Cinders Vale ushers in the Fall with some great hunts for November. 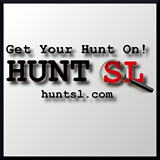 You’ll find full details of the Hunts mentioned in the show – and many more – on Hunt SL. In this episode, Host Cinders Vale picks some fun hunts for the month of October and the Halloween Holiday. In this episode, Host Cinders Vale welcomes the fall season with five great hunts. In this episode, Host Cinders Vale features five great hunts for the month of August. Host Cinders Vale takes a look at some of the great hunts taking place in June. Happy Hunting! will be on hiatus for the month of July, we will return in August.